WORKWEAR WORTH WAKING UP FOR. I know workwear is probably the last thing I should be thinking about on holiday, but I’ve made many new additions to my wardrobe in London and I was too excited not to share them. Workwear is something I haven’t given much thought to for a while because I’m now working from home full time, but we all know I have a tendency towards tailoring, so I’ve been missing my structured tops and pencil skirts. 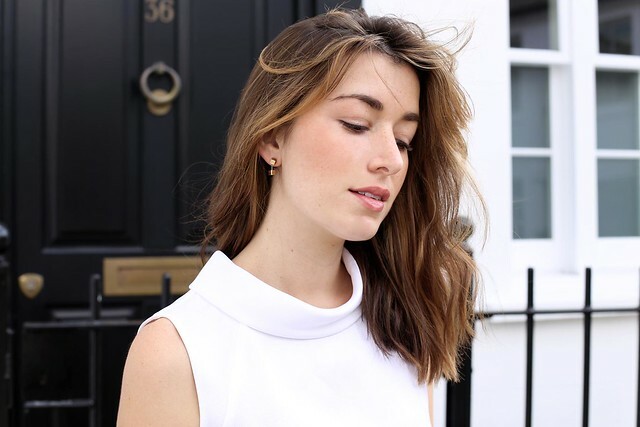 If getting dressed for work doesn’t really excite you, and it’s becoming a bit monotonous, it’s time to think of subtle ways to inject some life back into your working wardrobe. I make sure I can wear my working wardrobe on the weekend, and vice versa. 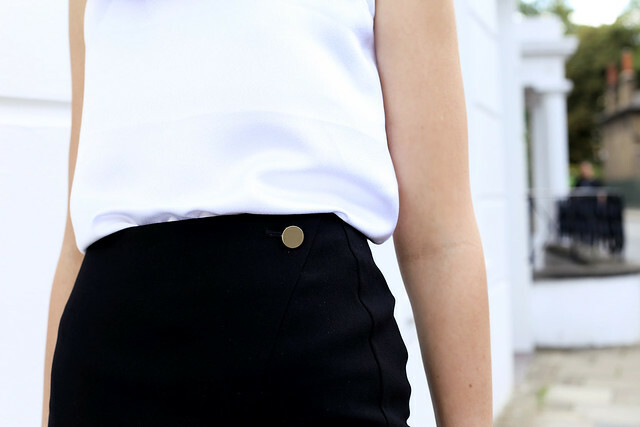 It’s all about finding pieces with some sort of original detailing that makes them just that little bit more special, like the gold button on this skirt. Obsessed! I’m still going through my flats-only stage, and I’m all about brogues and oxfords at the moment. They’re classic, clean and still dressy enough to wear to work. Oh, and they make coffee runs and staircases so. much. easier. Wearing Reiss top and skirt, Zara oxfords (Dr Martens version here, Acne version here), Givenchy bag and Cos earrings. In other VERY exciting news, because of you all being so epic, I’ve made it to the finals of the Bloglovin’ Awards in the ‘newcomer’ category (i.e. new kid on the block) and it would mean the world to me if you’d take a second to help a sister out and vote for me HERE.